Theory is "an internally consistent group of relational statements (concepts, definitions and propositions) that present a systematic view about a phenomenon and which is useful for description, explanation, prediction and control". 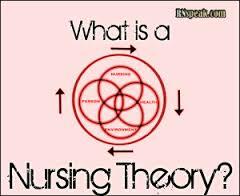 Nursing theory is an organized and systematic articulation of a set of statements related to questions in the discipline of nursing. Helps to try new approaches or altering behavior. Assist nurses to describe, explain, and predict everyday experiences. Serve to guide assessment, intervention, and evaluation of nursing care. Provide a rationale for collecting reliable and valid data about the health status of clients. Help build a common nursing terminology. Enhance autonomy of nursing by defining its own independent functions. Provide a general focus for curriculum design. Offer a framework for generating knowledge and new ideas. Assist in discovering knowledge gaps in specific field of study. Offer a systematic approach to identify questions for study, select variables, interpret findings, and validate nursing interventions. Theory development within nursing occurs in the context of practice. Two activities contribute significantly to the overall process of developing theory in nursing. "what events in practice can be linked with abstract concept x"
Nursing process operation of analysis of assessment data. Used as scientific rationale supporting judgments in nursing care plans. nursing theories address and specify relationships among four major abstract concepts referred to as the metaparadigm of nursing. Person or client, the recipient of nursing care (includes individuals, families, groups, and communities). Environment, the internal and external surroundings that affect the client. This includes people in the physical environment, such as families, friends, and significant others. 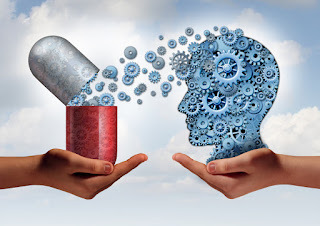 Health, the degree of wellness or well-being that the client experiences. Nursing, the attributes, characteristics, and actions of the nurse providing care on behalf of, or in conjunction with, the client. Phipps J Wilma, Sands K Judith. Medical Surgical Nursing: concepts & clinical practice.6th edition. Philadelphia. Mosby publications. 1996. Black M. Joice, Hawks hokanson Jane. Medical Surgical Nursing: Clinical Management for positive outcomes. St Lois, Missouri. 2005. Alligood M.R, Tomey. A.M. Nursing theory utilization and application. 2nd Ed. Mosby, Philadelphia, 2002.